Lampe Berger first began in Paris in 1898, in the dispensary of pharmacist Maurice Berger, when he was looking at the beneficial effects of catalytic combustion, and he subsequently filed a patent for "new lamp system for purifying the air." And just like that, Lampe Berger was born: although originally exclusive to the medical world for its antibacterial properties, the brand soon exploded when it garnered the interest of the greatest designers of the time, such as Lalique, Galle and Baccarat. 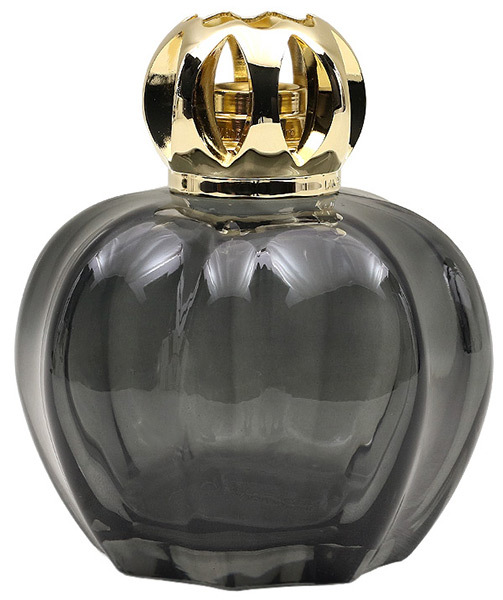 This ornate, shapely fragrance diffuser is the result of a collaboration with designer Rozenn Mainguene, sporting sculpted curves of smoky grey glass for a look both stylish and elegant. Funnel, wick, and instructions included within.